Discussion in 'X and Y' started by May, Sep 11, 2013. 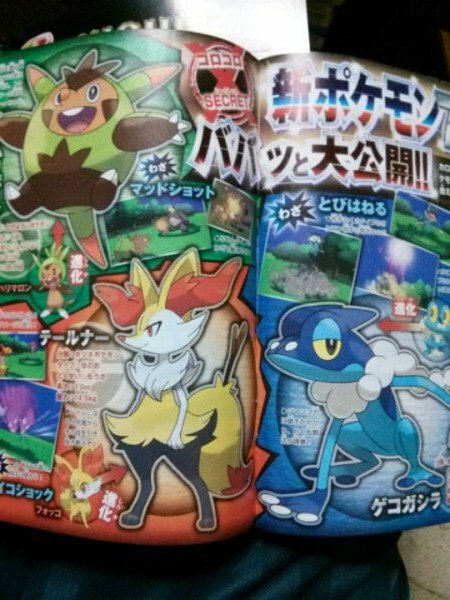 Finally the scans of CoroCoro shown some new Pokémon and information! So, let's start! 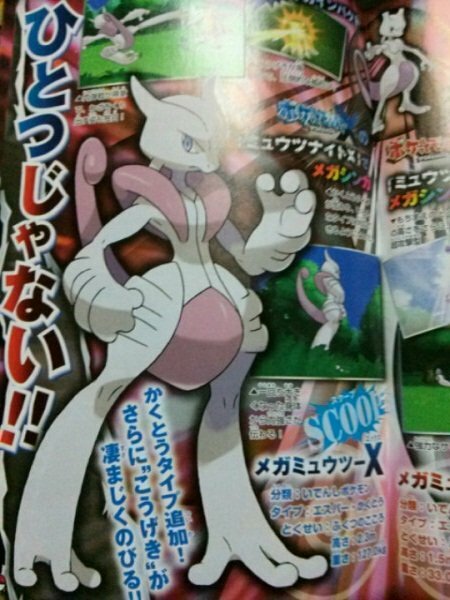 Another Mega Evolution for Mewtwo. This one is exclusive for Pokémon X and is called Mega Mewtwo X. It's a Psychic/Fighting type and has the ability Steadfast. 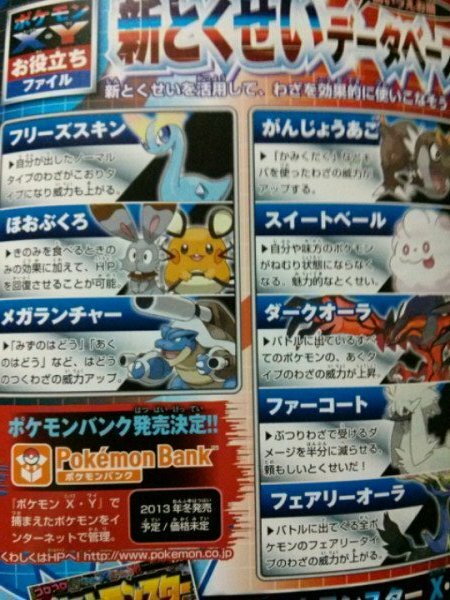 The previous Mega Mewtwo is called Mega Mewtwo Y and is exclusive to Pokémon Y. To have Mega Mewtwo X you will need Mewtwonite X while to have Mega Mewtwo Y you will need Mewtwonite Y. Simple, right? 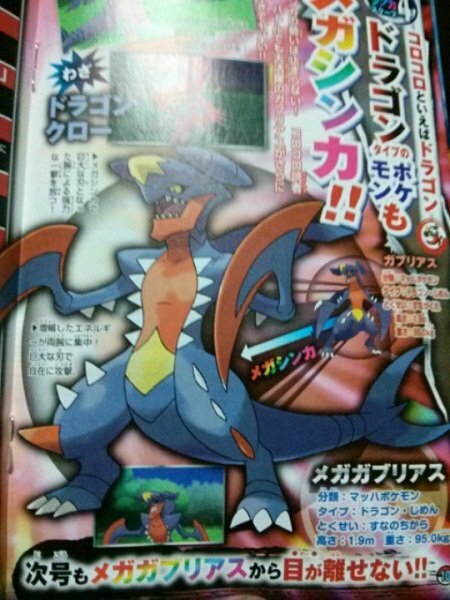 Here we have the Mega Evolution of Garchomp. 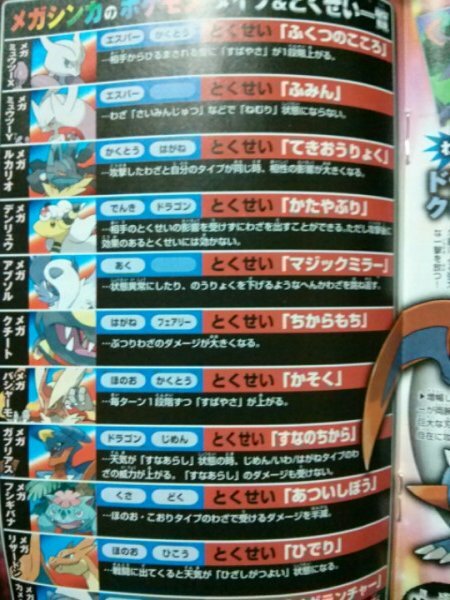 Mega Garchomp will have the ability Sandforce. 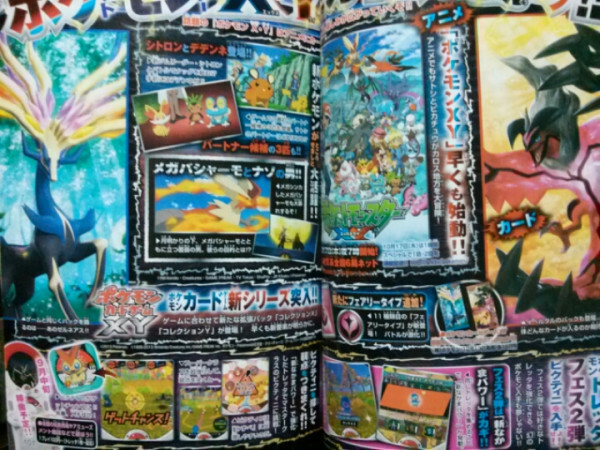 In the third scan we can see the five scientists from Team Flare, they are Kuseroshiki, Momiji, Bara, Akebi and Corea. Their target is to seeking a beautiful world. Finally we know everything about the Fairy type! Fairy type is super effective against Dragon, Fighting and Dark and isn't effective against Fire, Poison and Steel. 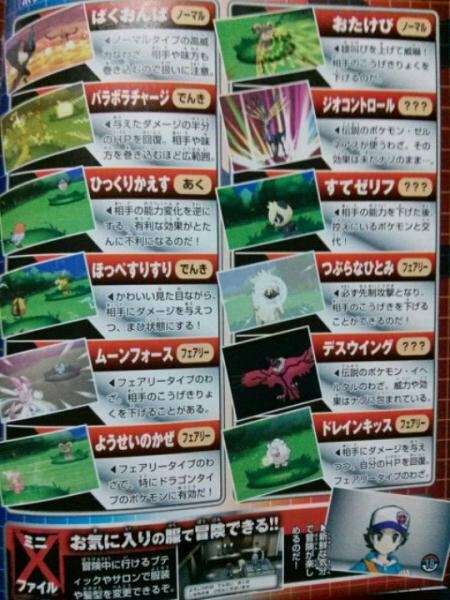 The Fairy type will be weak against Poison and Steel and resists against Fighting, Dark and Bug. It is immune to Dragon. 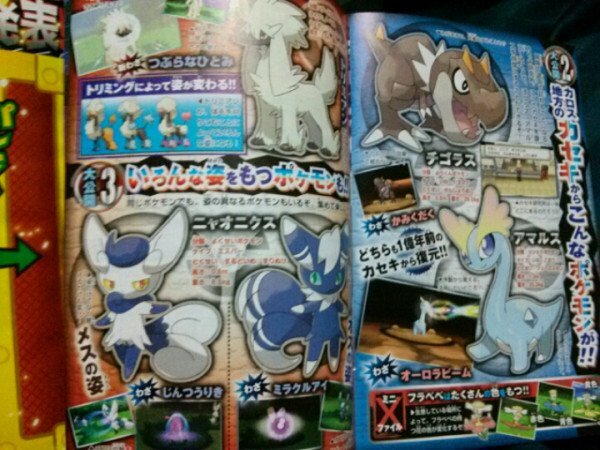 Seems also that Steel type will lose its resistance to Dark and Ghost. 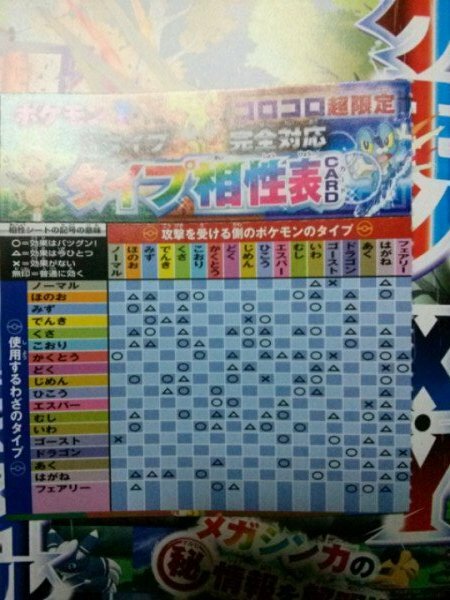 Finally some news about Pokémon the Series: XY that will start in Japan this October. 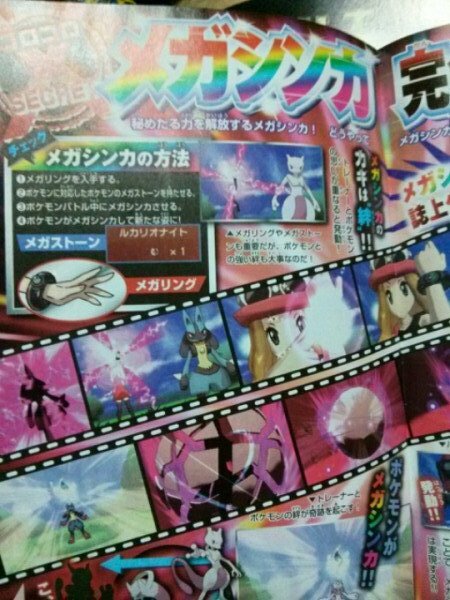 In the image we can see Mega Blaziken with a mysterious man, Clemont with Dedenne, Bonnie (the sister of Clemont) and the female playable character Serena. In October, exactly October 17, there will be a one hour special with 2 episodes of the new arc. The anime captions read: Clemont and Dedenne appear!! and Mega Blaziken and a mysterious man! !